Bless Children Baby Toddlers Fashion Sneakers for Boy's Girl's Breathable Mesh Lightweight Walking Running Shoes All-day comfortable wear A t-strap twist to the Bless Children Lacy Velcro Fashion Sneakers. The Bless Children Lacy Sneaker has an effortless style that goes with dresses and pants and is especially fun with colorful socks. Featuring a soft Canvas upper and cotton terry lining. Its adjustable velcro strap allows an easy on-and-off entry, while padded footbed and collar provides added comfort for maximum ease. Deep flex grooves enhance overall flexibility, while rubber outsole provides sure traction that grips where and when she needs it the most. Perfect choice to pair with any assemble. 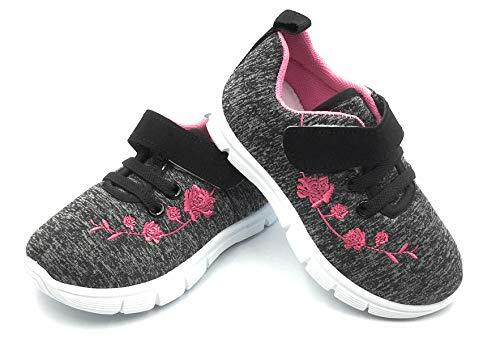 Get her ready for any occasion with the amazing Bless Children Lacy Velcro Fashion Sneakers .No brand makes casual comfort look as cute as Bless Children does.The T-strap Lacy Velcro Fashion Sneakers feature an easy hook-and-loop closure, along with a padded collar and insole to cushion her busy steps. About Bless Children Shoes Whether you're on the lookout for sneakers, boots, flip-flops, or other shoes to perfectly match your wardrobe, Bless Children offers versatile and comfortable children kid fashion sneakers in all different shapes, sizes, colors, and materials. Enjoy playful, standout fashion in both casual and dressy looks - Bless Children stays up to date on new fashions.Easily find running shoes for the gym or outdoors by browsing Bless Children cool and funky styles. If you have any questions about this product by Bless Children, contact us by completing and submitting the form below. If you are looking for a specif part number, please include it with your message.